Ang Toon Beng started his banking career in 1995 and is currently the Deputy Regional Head of Shipping Finance for Asia Pacific and Middle East for DVB, for which he joined in 2008. Prior to his current position he was employed as a Senior Relationship Manager in BNP Paribas and was covering shipping clients in the Southeast Asia region. 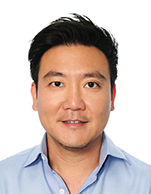 Toon Beng holds a double EMBA (Shipping, Finance and Offshore) degree from NTU, Singapore and BI, Norway and a Master degree in Applied Finance from NUS, Singapore. He graduated from NTU, Singapore with a bachelor degree in Accountancy in 1995 and is a qualified Chartered Financial Analyst (CFA).